The Many Threads sewing and craft group hosted a luncheon and tour at the Ration Shed Museum to mark the commencement of a second cultural exchange and weekend of weaving, wellbeing and wonderful women! 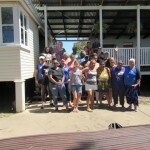 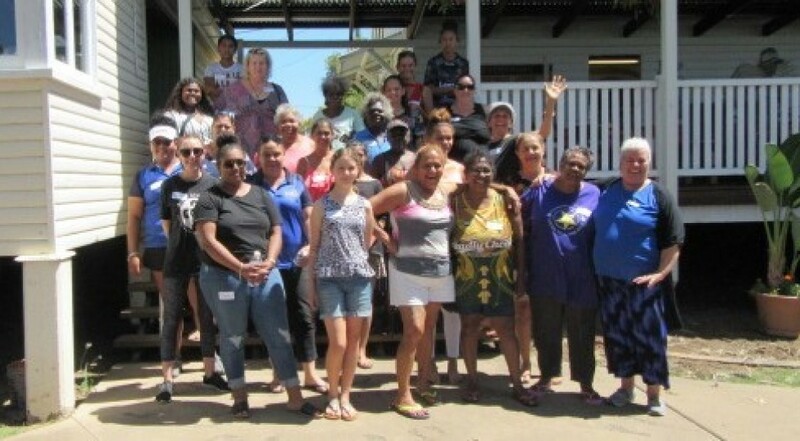 In March this year a number of the Many Threads women attended the first weekend weaving workshop at the Barambah Environmental Education Centre, in which 34 women from diverse backgrounds came together to share knowledge and reconnect with their families and culture. 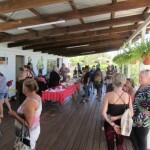 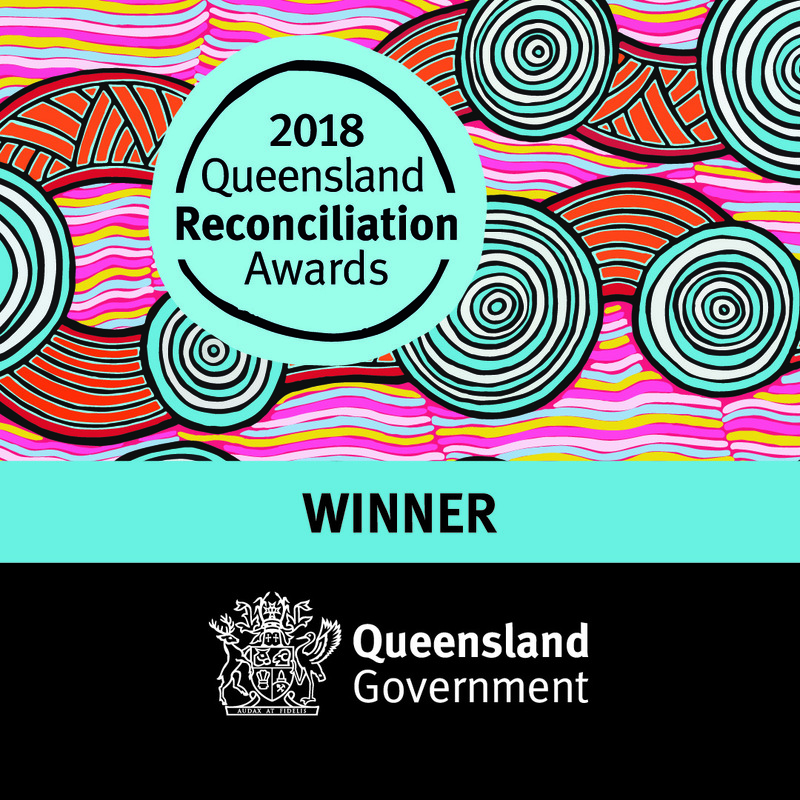 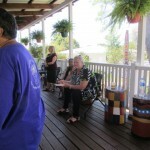 The event at the Ration Shed was to welcome women from across Queensland and the Northern Territory to Wakka Wakka Country. 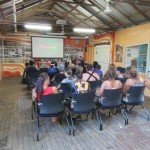 Visitors included the Djabagal Rainforest Weavers and the Kunwinjku Weavers from Gunbalanya, West Arnhem Land. 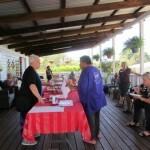 Many Threads had the opportunity to reconnect with friends they made at the first workshop. 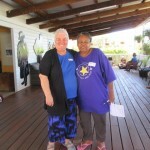 After lunch the women enjoyed films and yarns about the Ration Shed, as well as an impromptu tour of Cherbourg, pointing out some of the historical sights and the beautiful views from Bert Button Lookout, before making their way to their accommodation. 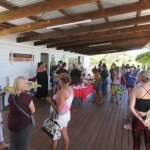 The workshops were coordinated by Zona Hussey-Smith from Stepping Black with support from a number of sponsors including Cherbourg Aboriginal Shire Council, the Ration Shed Museum, Rene from weavery.com.au and Aunty Dale Chapman, who provided amazing meals of contemporary bush tucker.